November | 2014 | Did Jesus have a Facebook Page? So how do we stand against the devil? Literally speaking we have to wear him out. Humanly speaking this is impossible but Holy Spirit speaking it is a hammer on a nail. Overcome by seeking God and his word and staying there. Focus on and apply his promises. Wear his armor and use it. Surround yourself with Godly people who have that personal intimate relationship with Him that adds to your army. Listen to the Holy Spirit. Read prophetic words of knowledge and allow God to speak to you even if it is through a donkey. I thank God for the modernization of available prophetic words and wisdom. Many times I have found assurances and encouragement to keep prodding forward from the wisest souls on earth even if I have no idea what it is God is doing. It’s as if God is speaking directly to me through my laptop. At my worst stretches in seasons, God has provided messages from prophetic leaders on public domains giving me exactly what I need to hear at that moment in time. And I have never met these people. As I have mentioned many blogs ago patterns are significant. Why? Because it is one of the enemy’s only tactics to wear us down. Once we figure out how this works it is easier to deal with the miserable process. 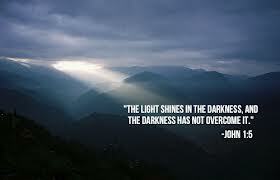 The patterns of his fight enable us to fight back harder and with greater victory. It helps to enjoy reading. If you don’t ask God to help you learn how. Reading has always come naturally to me and is one of my favorite things to do. Insert here (God just reminded me) …..
John 1: 1 “In the beginning was the Word, and the Word was with God, and the Word was God.” The WORD BECAME FLESH! So this should tell us how powerful the Word of God is. Not only has it lasted since before time began, no other book has ever been written comparable to it. Reading the comics doesn’t make them come alive any more than a romance novel. Maybe John Grisham? Naaaaaaa….. Anyway when we learn God’s way of fighting the enemy even when we falter and we will, we get an A for effort. In other words do it his way and he will lead you through it. As you deal with the day to day hardships, refer to God’s word often. Think of it as Jesus actually speaking to you which is what is really happening. Learn to fight God’s way. The fall of 1975 I was in my Junior year in college. Due to the location of the campus universal events never reached our dorm rooms. No cell phones. No computers. Each dorm had one TV in the lobby so we never watched it. Any communication in general was by radio and we didn’t listen to the news. Those 4 years I was completely sheltered from the outside world. Except for going home for holidays and summers I lost track of the Viet Nam war and the Nixon Presidency. It wasn’t until after I graduated I found out Vice President Spiro Agnew resigned for tax evasion and George Foreman knocked Joe Frazier out. That season for me was living in a 4 year time frame in a town with one stoplight, one gas station, a small pharmacy and no “eateries” of any kind. We were forced to eat “mystery meat” every day. To some extent being ignorant to worldly catastrophes and political zingers never left me feeling as if I was missing anything. November 10, 1975 in the deeps of that cold, dark lake. The song by Gordon Lightfoot, “The Wreck of the Edmund Fitzgerald” became a top 10 hit. Researching the history of this massive ship I found some very interesting details. Giving credit here is a website dedicated to the sinking of the Edmund Fitzgerald and the 29 crewmen who died along with it. ⇒Edmund Fitzgerald was President of Liberty Mutual Life Insurance Company. The ship was named after him. ⇒A storm raged around the ship at 52 knots or 59 mph (winds) and waves over 10 feet high. ⇒Many theories as to what caused the ship to sink remain theories. Many expeditions since that dreadful night have occurred with no conclusive explanation as to the reason it sank. 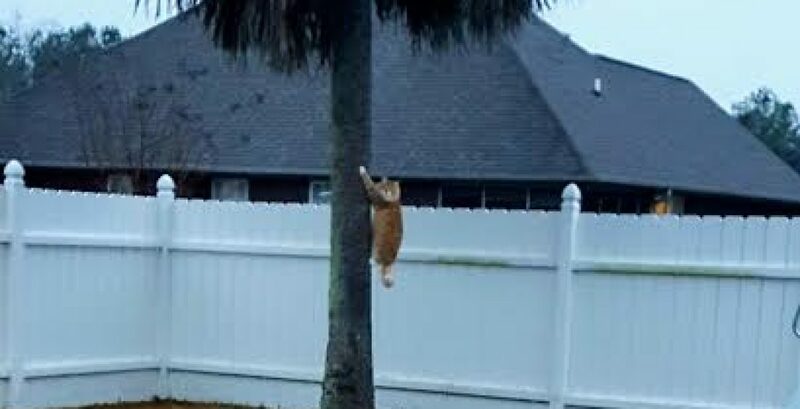 The bad weather could or most likely had a part to play in the outcome. ⇒Some family members were called about the loss of their loved ones on the ship. Sadly, the others found out by watching it on TV. 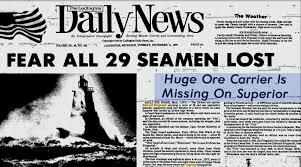 ⇒Gordon Lightfoot wrote the song as a tribute to the 29 crewmen who died on the Edmund Fitzgerald. He has been careful to protect the song for the families left behind as a gesture of support for their loss and honors them by singing it at every one of his concerts. This true story is a replica of many. Lives lived doing what they were called to do only to die pre-mature deaths. Life is short on this planet which is why we need to tell people about Jesus Christ every day. As we remember our Veterans tomorrow let us be reminded of those who have fought for our sacred beginnings of this great nation. Let us agree in prayer for America to seek God’s face and fall at the cross of Christ in repentance. Let us thank God for his great mercy and grace as he continues to extend it to us because we sure don’t deserve it. Categories: Blog posts | Tags: Bible, Blogging, Christian Colleges, Christianity, Culture, Economy, Education, Faith, Family, Friends, God, History, Holy Spirit, Home, Inspiration, Jesus, Life, Love, Media, People, Personal, Philosophy, Relationships, Religion and Spirituality, Ships, Television, United States, Veterans Day, Work, Writing | Permalink. 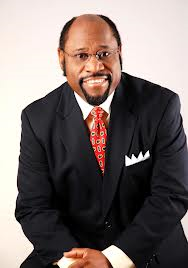 I was shocked to learn of the plane crash that took the life of Dr. Myles Munroe , his wife and daughter. Knowing they are safe with Christ in Heaven gives peace but it is a great loss for those left behind. Please pray with me for strength and courage for his family, friends and ministry to go forward. Thank you. Categories: Blog posts, Christianity | Tags: Bible, Blogging, Christianity, Culture, Education, Faith, Family, Flying, Friends, God, History, Holy Spirit, Home, Inspiration, Ministry, Pastors, People, Philosophy, Plane, Relationships, Religion and Spirituality, Writing | Permalink. 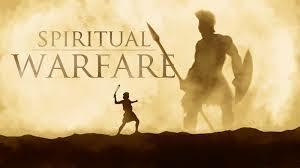 You don’t have to look far to find spiritual warfare. Maybe its modern communication, technology or social networking but the devil is having his day; or so he thinks. Whether war, kidnappings or brutality is the attack he is pulling out the best “guns” he has left in an attempt to capture the souls of God. Persecution has become a totem pole of who can say the worst about their opponent as by evidenced of the election Nov. 4th. Here in my own state of SC the disgusting, sick and radical lies made about Governor Nikki Haley and Senator Tim Scott backfired. Both won their elections by landslides. What the devil meant for harm for 2 Godly people turned against their accusers. Maybe and hopefully Americans are waking up realizing that getting away with “whatever” isn’t working. The fight has been going on since the Garden of Eden. The battle has been won but we humans must heed the truth of God’s word and apply it to ward off the flames of the evil one. Why? Because Satan just doesn’t want to give up. One main reason so much is wrong in the world has been a loss of teaching on “spiritual warfare.” Well, we need it and fast. Ephesians 6 is full of the Armor of God. He sheds light on giving us his artillery, weapons and wisdom to “thwart” the enemies’ assaults. My enthusiasm for the Amplified version of the Bible has grown especially since I really didn’t like it at first. However God can communicate no matter what version it is. Now I find myself soaking in the descriptiveness of this version. And for the record it is Joyce Meyer’s favorite and now I know why. Verse 13-15 speaks of “standing” firm with God’s armor covering us. NIV 13 “Therefore put on the full armor of God, so that when the day of evil comes, you may be able to stand your ground, and after you have done everything, to stand. Immediately the Holy Spirit enlightened me. My interpretation is it is a matter of persistent endurance; righteous patience and solid focus on Jesus. Categories: Blog posts, Christianity | Tags: Bible, Blogging, Christianity, church, Culture, Education, Emotional Health, Health, Holy Spirit, Inspiration, Joyce Meyer, Life, Love, People, Personal, Philosophy, Politics, Questions, Relationships, Religion and Spirituality, Spiritual Health, Writing | Permalink.